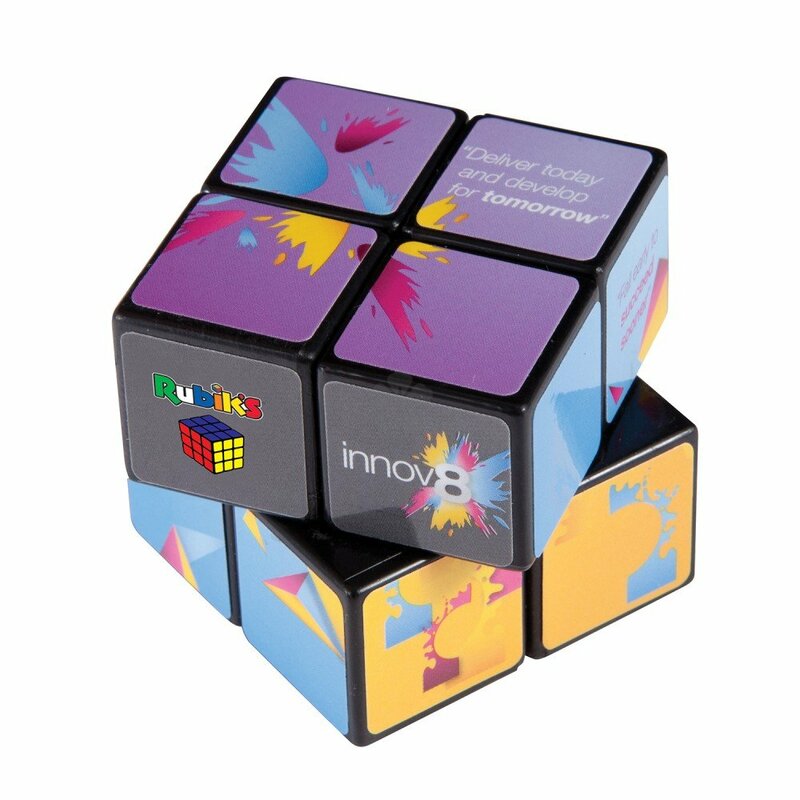 Don't leave your clients scratching their heads with our custom printed Rubik's Cube - 2x2. Based on the classic 3x3 Rubik's Cube, this 2x2 version offers a slightly easier puzzle, with larger squares offering a larger branding area for showing off your design! Branded using digitally printed labels, we are able to print in up to full colour to each of the 6 sides as standard, offering brilliant branding potential. 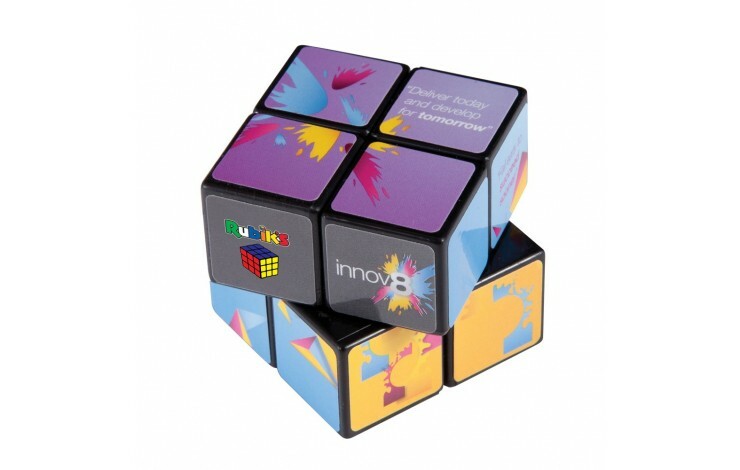 Featuring the Rubik's logo on one of the squares for additional brand association. The Rubik's cube just got a whole lot easier to solve! All 6 sides printed - Great branding potential.